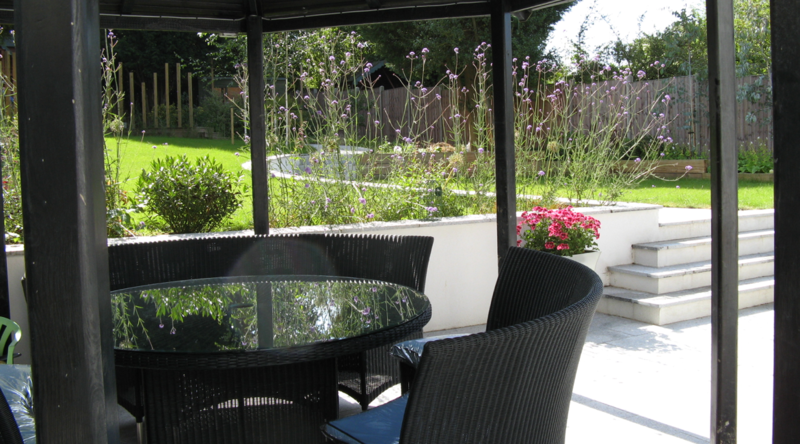 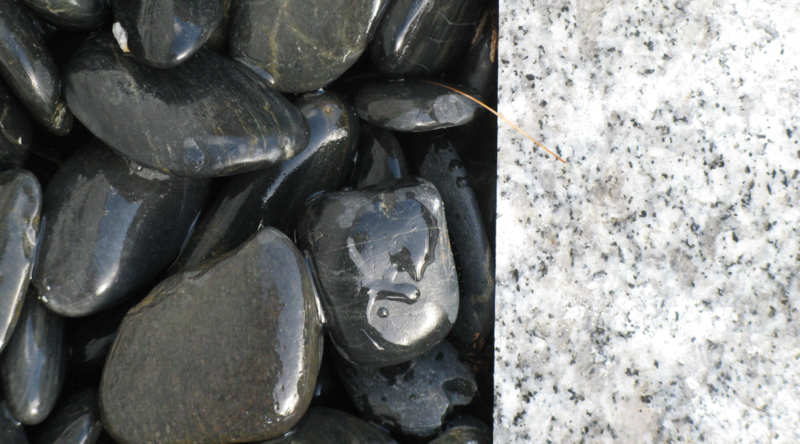 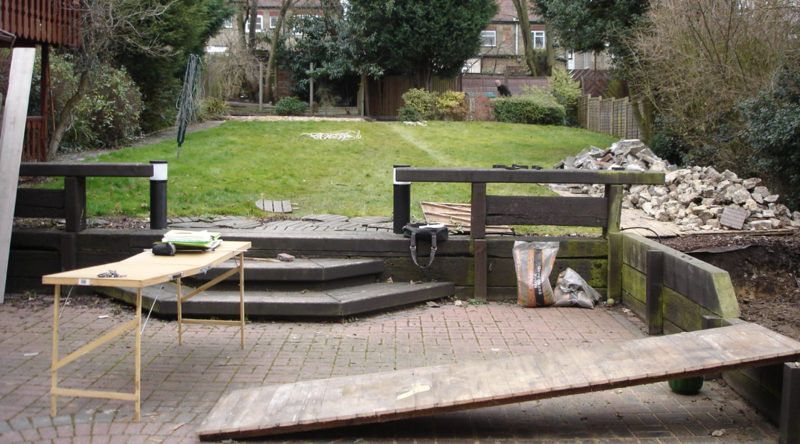 Water features, a play area and a dual-purpose patio all contribute to a beautiful and functional contemporary garden. 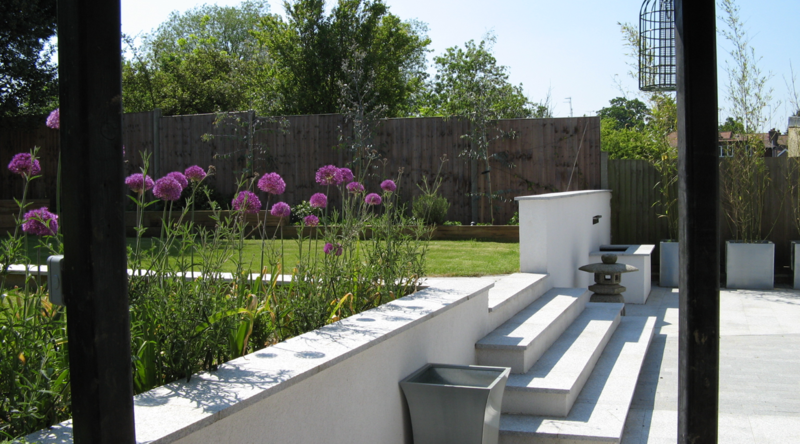 After completely refurbishing their home, our client’s brief for us was to create a contemporary family garden to compliment the newly modernised interior. 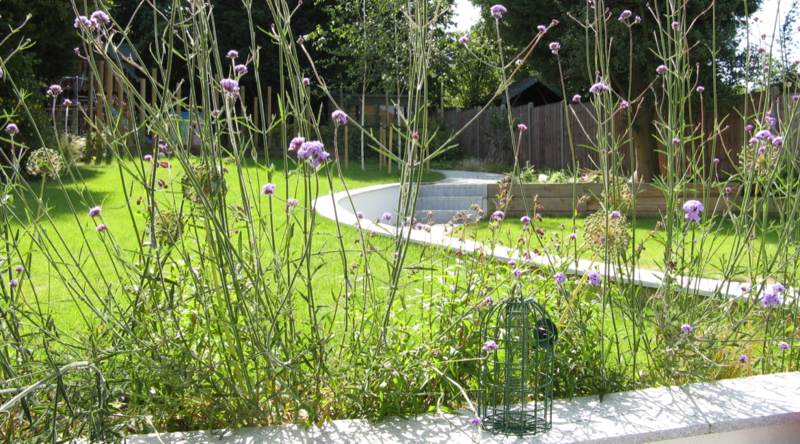 Using white painted rendered walls, the garden was partially levelled to create a more useable space. 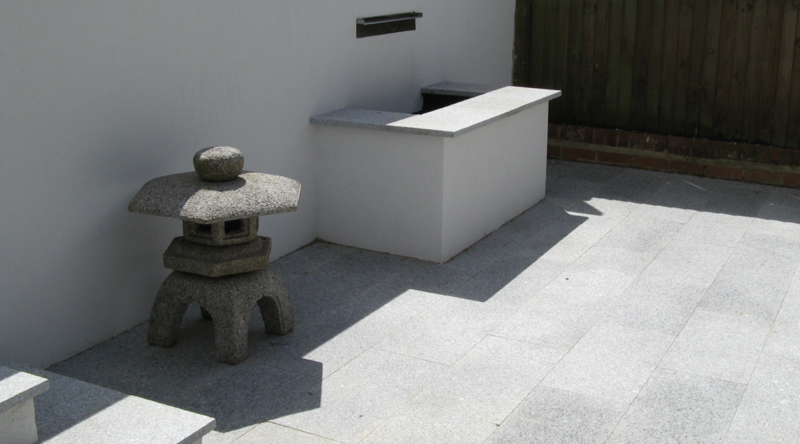 We paved the spacious patio, using oblong granite slabs, to give a clean contemporary feel for this dual purpose space, ideal for bike riding and alfresco dining. 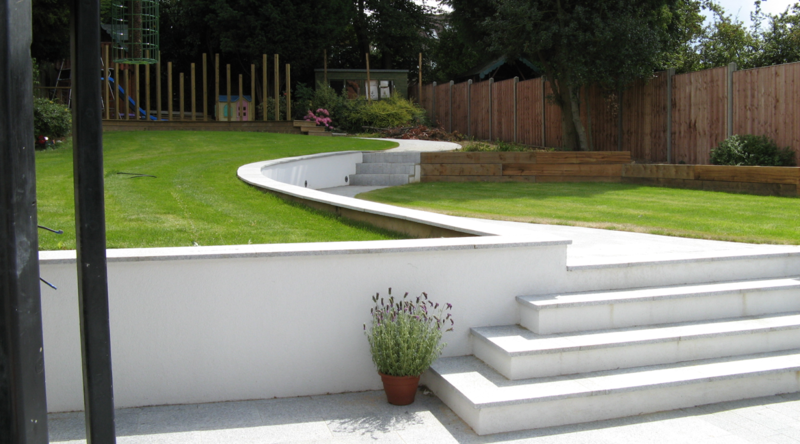 A raised water feature set within the rendered walls creates a focal point from the house and a curvaceous path meanders through the garden to a partially hidden children’s play area.